We all know it can be hard finding trendy plus size clothing at times. It can also get really frustrating! And if you're like me who really hates trying things on, it just gets your even more flustered! All those hot lights and taking a bunch of items on and off again and again, getting you all sweaty! UGHHHH! I know my curvy ladies know what I'm talking about. I'm the type that would rather shop online and just measure myself to figure out what size to buy than to go into the store and get flustered. I mean, don't get me wrong I do like going shopping and all but I keep the trying on to a minimum and usually end up purchasing items and trying them on at home! I know some of y'all do it too - don't you? Well I thought I would share a few of my go to sites I like to shop from. Is an amazing store for plus sizes. Love that they have a Disney themed clothing line that is just too cute to not love! From Alice In Wonderland to The Little Mermaid. They are all up to date on the latest fashion trends and have some cute pieces. The under wear is comfortable and really pretty. Clothing ranging from formal to casual. And I must say that I'm really loving these Minnie Mouse tights (click on the link to see)....might just end up purchasing them next time! Up to date fashion at affordable prices! Carrying regular sizes as well as plus size. Love that the materials used are good quality and I mean and for the price you definitely get more for your money! Plus sizes range from 1X - 3X which I believe it should go up to 5X but not my call. I'm really loving this top right now but always find myself debating about it. What are your thoughts? Addition-Elle carries to different age groups of plus size women. Clothing is comfortable and fit great. They deliver up to date fashion for all. Some items can run costly but you pay for the quality which I have never been disappointed with! From formal wear to casual to active wear they have really come a long way over the years to be trendy and making plus size women feel great about themselves while looking amazing! They are pretty costly compared to Forever21. However, if you want trendy styles that look great and make you feel gorgeous this is definitely a store you need to hit up. Whether online or if you're in Toronto stop by the shop and take a look! They carry from a 1X - 3X some pieces are small made so I always try to go for the flowy tops and dresses. Penningtons is a great store which much like Addition-Elle has come a long way over the years to deliver the best in up to date fashion for plus size women of all ages. No matter your age you will find something here for you! FINALLY! They finally have plus size clothing! Lol. I have made my first clothing purchase from there finally and am loving it! Fits as they should. Fashionable and trendy and affordable! you can get an entire outfit on a budget from clothing to shoes and all your accessories! There you have it lovies my top favorite place to shop from for my clothing and more! Please don't forget to subscribe to the blog, and please leave a comment on some of the shops you like to shop at and think I should check out! Here it is everyone..my story. I've never really shared my personal story before and this is just me being real right now. I've always struggled with my weight since my preteen years. My weight fluctuated up n down. I hated being "the fat one" but hey what could you do? You can't control ppl n their opinions rude or not. In my early teens I was diagnosed with PCOS but was never really explained as to what exactly it was or how to manage it. So I decided to do my own research. Losing weight and eating the right foods is part of the solution it doesn't take it away but it does help with a lot of the symptoms. The stomach pains, irregular periods, weight gain, unwanted facial hair and anxiety. I was told by a good friend about being a beach body coach and how it could help me along with shakeology. At first I was sceptical but decided to give it a try. Now I'm a coach and am part of an amazing team. I work out 30-45 mins a day eat healthier and an feeling great! I've notice a change for the better in my skin, hair, mood, energy level and most importantly it has helped a lot with my anxiety. Thank you for listening to my story and if your ready to take that step and get healthy send me an email and I will try my best to help and guide you and be your support throughout your journey. 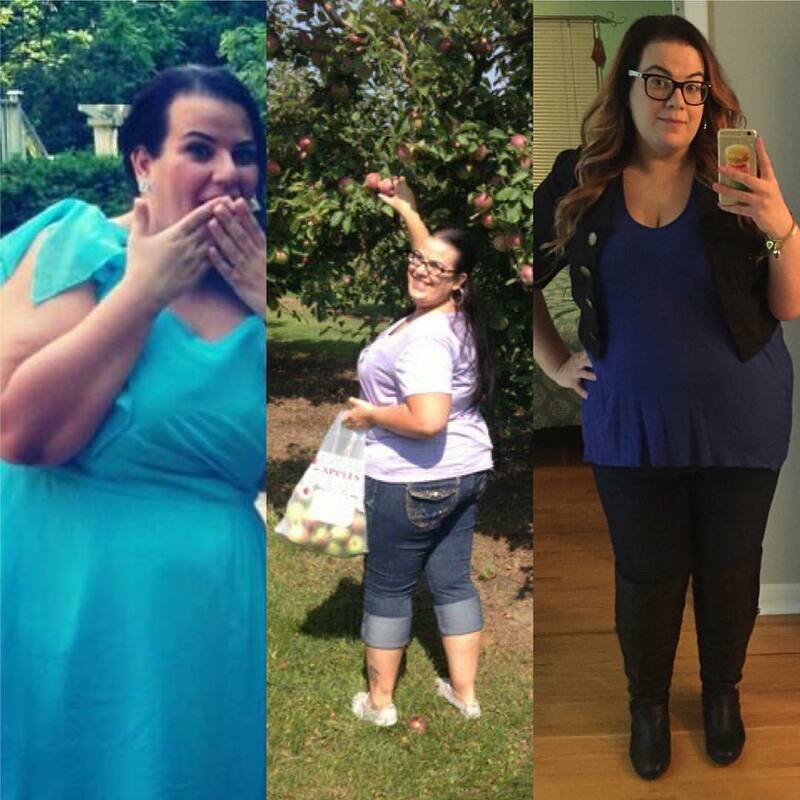 Welcome to The Curvy Confidential! My name is Kelly and I'm a 31 yr old from Toronto, Canada. I decided to start this blog as a form of therapy to help with anxiety. But then I sat here and realized that there are plenty of women out there suffering from PCOS, anxiety, and who also have trouble staying motivated on their weight loss journey. I love fashion, and am a strong believer that self expression and being comfortable in your own skin makes you look good in anything! Ever go shopping only to realize that the clothing you see on the rack or on the mannequin doesn't look that great on you? That the cute top you are trying on is perfect on one part of your body and not so flattering on another? Or what about the pants you put on look weird in the knee or crotch area!? I mean some stores carry the perfect pants that fit amazing and make you wanna buy them in every colour perhaps more than one in the same colours. I will be blogging about fashion, my weight loss journey, fitness, recipes and much more! Please feel free to contact me if you have any topics you would like me to write about, if you need advice - I will turn it into a Q and A kinda post. Thanks for stopping by and please don't forget to follow/subscribe!